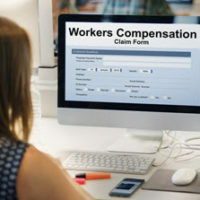 According to reporting from the Tampa Bay Business Journal, the United States Department of Labor (DOL) has brought a lawsuit against Jasper Roofing Contractors Inc. for their attempts to obstruct a workplace safety investigation. Several times over the past few years, the Occupational Health and Safety Administration (OSHA) has conducted workplace safety reviews at Jasper Roofing worksites in the Tampa area. On at least five different occasions, OSHA officials found serious worker safety violations. One of the company’s safety managers, Martin Keller, cooperated with OSHA investigators. In 2015, Mr. Keller was fired by Jasper Roofing, and the DOL now argues that Mr. Keller was fired illegally as a means of retaliation. Failed to ensure that ladders that were being properly set up on access roofs. These are very severe safety violations that put workers at considerable risk. As a result of these findings, Jasper Roofing was hit with several sanctions, including at least $163,000 in fines. In the months following the sanctions, Martin Keller, the company’s lead safety manager, attempted to install a new safety program. However, Mr. Keller contends that in the course of implementing this program, he quickly ran into problems with upper management. Indeed, Mr. Keller reports that upper management attempted to undercut many of his proposals. Soon after, another OSHA representative conducted another investigation on a Jasper Roofing worksite in Hillsborough County. Once again, OSHA noticed several workplace safety violations present on the site. During this safety review, Mr. Keller was called to the worksite. When he arrived, he cooperated with OSHA and even gave them access to certain company documents. To be clear, beyond the moral obligation to protect worker safety, Mr. Keller also had a legal obligation to cooperate with the OSHA officials. However, soon after this happen, Martin Keller was reprimanded by his superiors, and then terminated from his position at the company. Now, Mr. Keller is fighting back, and with support of the DOL he has filed a filed a workplace discrimination lawsuit based on unlawful retaliation. Sadly, this case is not an outlier. Far too many Florida companies put profits ahead of worker safety. By cutting corners on workplace safety regulations, companies are putting their employees at serious risk of injury. Our firm is committed to helping injured workers seek justice. At Pawlowski//Mastrilli Law Group, we have extensive experience handling Florida workers’ compensation claims. If you were hurt on the job, please call us today at (813) 242-4404 to set up a free review of your case. From our office in Tampa Bay, we represent victims throughout the region, including in Odessa, Plant City, Durant, Land O Lakes, and Clearwater.